Like so many artists, I work in isolation and solitude. It is part of the contemplative nature of tapestry. Although my pieces regularly jury into national exhibitions, rarely do I have the opportunity to see my own work in the context of other masters. 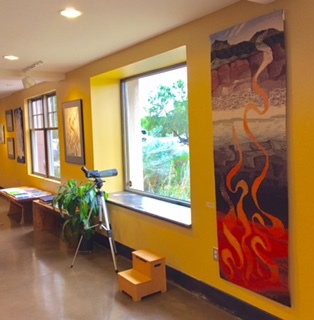 But recently this happened for me at the Contemporary International Tapestry exhibition at the Hunterdon Art Museum in Clinton, New Jersey. 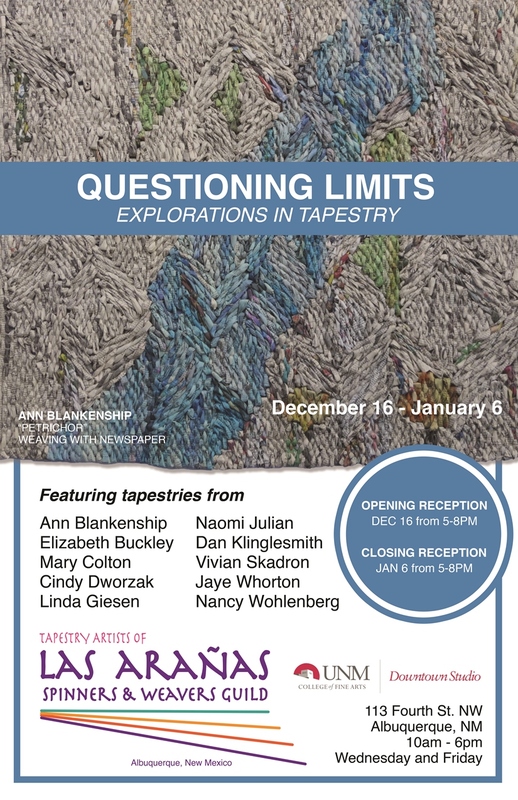 The idea for this exhibit originated with individuals from the Hunterdon Art Museum who then asked Carol K. Russell to select and curate “important work by major international artists, providing an unusual opportunity to see under one roof current trends in contemporary tapestry.” (Marjorie Frankel Nathanson, executive director of Hunterdon Art Museum). Nancy Shiffer, of Shiffer Publishing, Ltd. agreed to publish the accompanying, hard-cover book. The whole project became Carol Russell’s life for countless hours every day for over one year and six months as she gathered together works of forty artists (myself included) from nine countries. Both the exhibition and the book are exquisite. I saw the show the day before it was open to the public, when everyone on the museum staff was hard at work on the final details, such as putting up artist statements and the exhibit signage, adjusting the lighting for each tapestry, compiling the information notebook on the artists, and attending to the reception arrangements. I was so moved by how much care and attention to detail I saw, that at the end of the day, I thanked as many of the staff as I could for all of their hard work. Later, Ingrid told me that in all the years she has worked on the lighting of the exhibits there, I was the first artist to thank her. I was stunned and saddened at the same time. 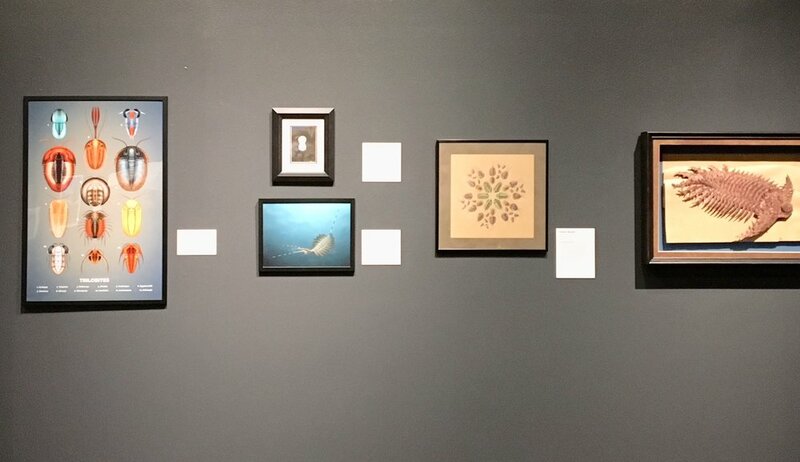 My response to her was “but the lighting is so crucial to the entire exhibit.” Indeed, lighting, in addition to a well-hung show, is what makes the works sing. And sing they did. I spent the day with each tapestry in the exhibit, being present to the overall impact of each piece, as well as looking closely at technical details, marveling at the masterful synchronization of color, structure, line, image, and form. I was in awe. Not only is this an amazing collection of works, but my own tapestry voice has a place here. The artists…are as different as the sounds of our voices and as similar as our passion for quiet hours at the loom. There is no magic in a loom. Its apparent humbleness and simplicity stand in stark contrast to the weaver’s hands and eyes directing a million marks of imagination. A loom is simply a universally understood system for exploring oneself, which is an impossible thing to counterfeit.